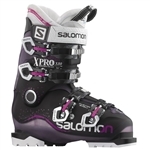 The all-new 2015 Lange SX 70 W is an accessible high-performance 102mm women's all-mountain boot for intermediate skiers. Expanding Lange's unique +Choose Your Width a option the more forgiving 102mm fit delivers the highest-performance to skiers with wider foot shapes. 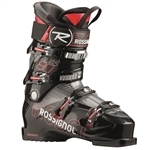 Rossignol Hero World Cup SI boot, a powerful, high-performance boot. The new standard in freeski bindings : our legendary 3D driver toe piece, now updated for modern skis and skiing. Salomon X Max, a top level race boot. Salomon X Max, a high performance race boo. 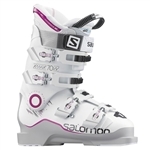 Salomon women's X Max 70, an all-day performance boot. 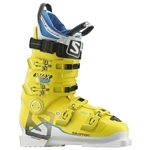 Lange SX 70 Women's all-mountain boot for intermediate skiers. 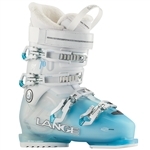 Lange RX 80 Women's boot for advanced and expert skiers. 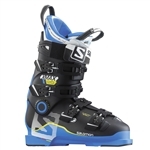 Lange SX 120 ski boot, an all=mountain boot for expert skiers. 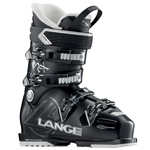 Lange RX 130 ski boot delivers the ultimate in all-mountain precision, comfort and performance. The ALIAS SENSOR 120 delivers a comfortable, generous fit without sacrificing powerful, all-mountain performance.